Retrace your steps at any moment in time and adjust your design without having to start from scratch. 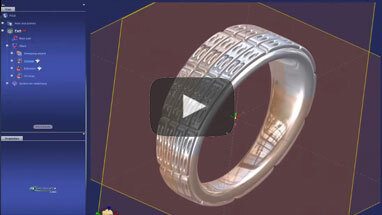 Scan your drawing into 3Design and use it as a blueprint to trace over. Choose from a variety of prongs: channel, pave, microsetting and the single prong. Set your stones manually, symmetrically, automatically as well as an assortment of sizes next to each other. Automatically create cutters matching your stone size and position, then choose your back-hole shape. Similar to multicutters, this function takes into consideration the size of your stone and their position to create hexagonal back-holes. Create a detailed account of your design to include carat and metal weights, costs, stone details and margin. Control your channel parameters: distance between stones, number of stones and depth of setting. Build your stone by sketching the shape and choosing from various cuts such as princess, gem and cabochon. Choose from a variety of tools: taper, bend, twist, wrap along curve etc. Resize your design within a matter of seconds and fix certain elements such as the setting to prevent it from altering. Position assorted stone shapes such as baguettes, ovals or marquise stones next to each other on your design. 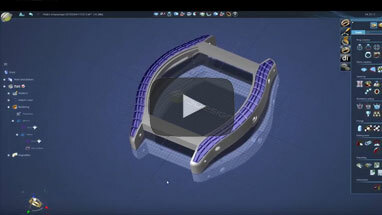 Quickly place baguettes on your design with the option to create top and bottom cutters. Build rings, earrings, pendants or clasps in a single action: modify each profile by scaling, rotating, moving, mirroring or aligning. 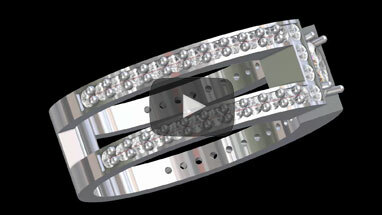 Start by defining your ring or bangle size; then select the number of turns, width and the ending of the curve. There is a library you can choose from or alternatively import a grey scale image to create the pattern you want. 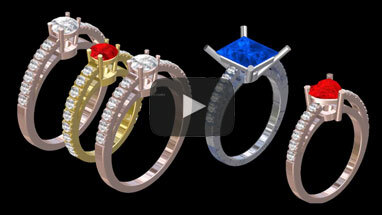 Modify the top of the ring with the option to incorporate a center stone or select a given shape. The front and side views can be adjusted too. Make elaborate designs that can be pierced or added as a relief onto a curved surface. 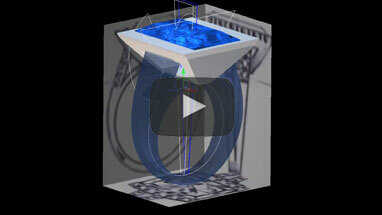 Speed up the process of making rings by defining the parameters within this builder. Ideal for sweeping more than one curve or creating a rope like effect. Register for a live demonstration to find out more!